Have You Downloaded The Grocery Shop For FREE iPhone & Android Apps! 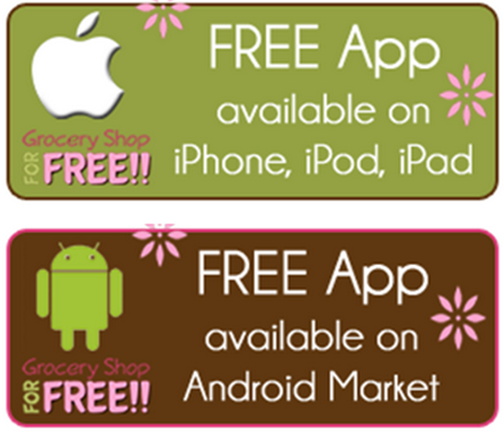 You are here: Home / FREEbies / Have You Downloaded The Grocery Shop For FREE iPhone & Android Apps! Have you downloaded the Grocery Shop For FREE iPhone & Android Apps, if not, now’s your chance! Best of all, they are both FREE! It’s a perfect time of year to make sure you don’t miss any of the deals we’re posting! So, take a second and click the buttons below or on the right side of this page to get yours now! Thank you all so much for following us over the years and being loyal and helping us spread the word about Grocery Shop For FREE and Grocery Shop For FREE At The Mart! There are a lot of other sites out there and we appreciate very much that you have chosen to follow us, too!